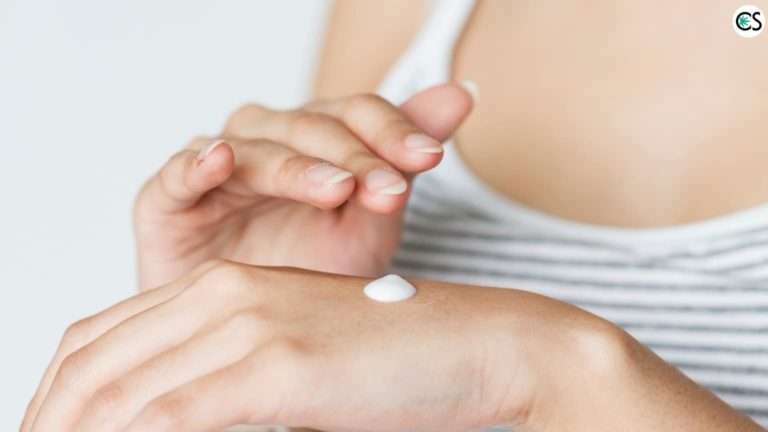 Home » Will Topical CBD Products Cause a Drug Interaction? Will Topical CBD Products Cause a Drug Interaction? In November 2017, the World Health Organization (WHO) released a report that brought global attention to the safety profile of CBD. WHO found that CBD does not contain any adverse health effects and is well tolerated in both humans and animals. While there’s no question that CBD is safe, when you’re taking other medications it’s always important to know if CBD might cause a drug interaction. One of the most common questions we’ve been hearing lately is: Will topical CBD products cause a drug interaction? If you’re someone who uses CBD topicals and takes prescription or over-the-counter medications, this article is for you. Before we look into if topical CBD products will cause a drug interaction, it’s best to completely understand what a drug interaction is. Drug/Drug Interactions: When two or more drugs interact with one another, which can cause you to feel an unwanted side effect. A sedative, for example, mixed with an antihistamine can considerably slow down your reaction time and make it dangerous to drive. Drug/Food or Beverage Interactions: When drugs interact with food or beverages. Taking a benzodiazepine (like Valium), for example, and drinking alcohol can cause side effects like confusion, dizziness, sedation, loss of consciousness, and (in severe instances) death. Drug/Condition Interactions: When certain existing medical conditions make certain drugs potentially harmful. If you’ve got high blood pressure, for example, and take a decongestant or pain medication such as ibuprofen, you could experience an adverse reaction. Let’s examine this more closely. Research shows that CBD can inhibit the cytochrome P450 enzyme system, which is found within the liver and responsible for metabolizing compounds that could be toxic… including over 60% of any drugs that have been taken. To establish dosing sizes of particular medications, doctors calculate the average time it would take a drug to pass through the cytochrome P450 enzyme system. CBD has shown to inhibit this cytochrome P450 system’s ability to metabolize some medications. This can lead to a general increase in processing times, which can lead to higher levels of some drugs in the system at one time. This is something that has the potential to cause unwanted side effects. Will CBD cause a negative reaction if you’re taking a drug that’s metabolized by the cytochrome P450 system? Not necessarily. But it’s always best to be safe and speak with your doctor or pharmacist before using CBD. CBD topicals are awesome for several reasons. For one, they provide localized relief. Sore knee, painful wrist, or achy back? Simply rub a CBD topical on your sore spot and let the non-psychoactive cannabinoid work its magic. For another, CBD topicals work quickly to provide the relief you need. CBD topicals work so quickly because they’re absorbed by the skin, which contains its own endocannabinoid system. Unlike CBD oils or edibles, CBD topicals aren’t digested in the body and absorbed by the bloodstream. That being said, a CBD salve, cream, balm, or lotion should NOT cause a drug interaction. Since it isn’t digested and doesn’t make its way through the liver or interact with the cytochrome P450 system, CBD creams, salves, balms, and lotions should NOT cause a drug interaction. Here’s something to keep in mind. While a CBD topical shouldn’t cause a drug interaction, it could cause an allergic reaction. It happened to us once. A topical rubbed on our wrist suddenly caused our skin to become very hot and turn bright red. While it did go away, needless to say, it wasn’t a topical we used again. An allergic reaction is NOT a drug interaction, however. When using CBD topicals you should always, always, always check the ingredients. If you don’t notice anything on the label that you’re allergic to, proceed by starting with a small amount before applying liberally. We weren’t aware we were allergic to anything prior to using the cream we had an adverse reaction to. Do Transdermal CBD Patches Cause a Drug Interaction? What about transdermal CBD patches? Because transdermal CBD patches are designed to enter the bloodstream, it’s assumed that they could cause a drug interaction. Here’s the thing, though. While there isn’t any scientific evidence to prove otherwise, it isn’t likely that this topical method of CBD application would cause a drug interaction. While a CBD transdermal patch will cause CBD to enter the bloodstream, it doesn’t cause CBD to be absorbed by the liver. This is because transdermal patches are direct to the bloodstream. This type of CBD delivery method bypasses the digestive tract and liver altogether. “The reason why you use a patch is it’s direct to the bloodstream, it’s a slow timed release, and it’s a fairly benign way to administer a drug for someone who may be adverse to taking a pill, to vaporizing, to those kinds of things. “Especially with THC, when ingested, it goes through your liver and all of a sudden you get these THC metabolites floating around in the body that are totally different pharmacologically. When you eat [cannabis], you get a spike of 11-Hydroxy-THC – which is actually very strong and might be stronger than the Delta-9. This may be why people are having these kinds of psychedelic experiences when they eat cannabis. Because transdermal CBD doesn’t go through the liver where the cytochrome P450 enzyme system is found, there’s likely little chance that the transdermal application of CBD will cause an adverse drug interaction. You should always check with your doctor before using any type of CBD products. Especially if you’re currently taking other medications. That being said, topicals like CBD balms, creams, lotions, and salves shouldn’t cause a drug interaction as they’re not absorbed by the liver. And while there isn’t sufficient research (yet) to back it up, transdermal CBD patches shouldn’t either as they’re absorbed directly into the bloodstream through the skin and bypass the liver completely. Don’t forget to check with your doc, however, just to be sure. You can also speak with your pharmacist too as they should be an expert in how to handle drug interactions. CBD interaction should be done with doctor if you are not sure about the product and the materials which are used. And, no doubt it is a great blog. Thanks! Yes, we agree. It is always best to speak to your doctor about possible drug interactions with CBD. There seem to be CBD creams, presumably without THC. Then there seem to be CBD creams that are “THC infused”. Would these latter topicals be expected to be more likely to interact with certain prescription drugs? Would they also cause a high? Hi Tom. We have never heard of anyone having a drug interaction with a topical product. Still always a good idea to speak to your doctor or trusted medical professional to make sure CBD products are a good fit for you.